Bali is an Indonesian island which is famous for its volcanic mountains, coral reefs, blue beaches, and its religious shrine. Bali has been a top choice for all kinds of travellers, those who travel solo as well as those travelling to Bali with kids. The main attractions of Bali are its charming islands and cities namely, Nusa Penida, Nusa Lembongan, Nusa Ceningan, Denpasar and, Makassar. Bali’s clean and open beaches with a wide range of beach activities make the island a perfect gateway for families who travel with kids. 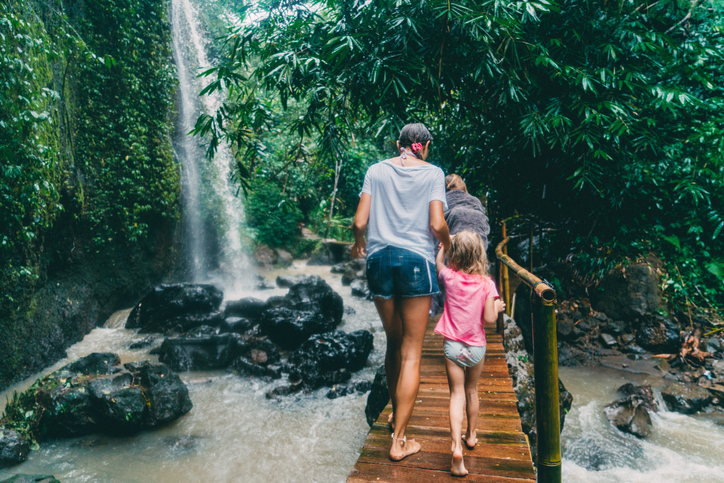 Boat rides, water sports, safari parks, and surfing are just some of the multiple things to do in Bali with kids. Below are some of the activities that both parents and kids can do on their next Bali vacation. The best and easiest beach activity in Bali is surfing. Let your kids learn how to surf and enjoy riding the waves! There are plenty of surfing schools in Bali where they have learning sessions designed for children of all ages (and especially for those below 12 years of age). Beaches like Kuta, Legian, Seminyak, and Canggu have lots of these schools where they have experienced trainers who train the kids with basic as well as advanced level strategies on waves. They also provide proper surfing amenities such as helmets, foam-lined boards, and rash guards to protect your kid when they’re in the ocean. 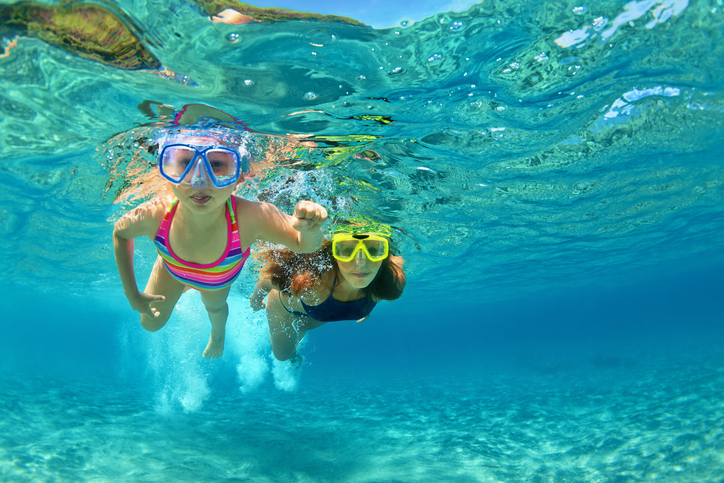 There are lots of other water sports that you can do in Bali with kids. Banana boat rides, jet-ski rides, and glass boating are some of them. They are all absolutely safe. Banana boat and jet-ski rides are mainly found on beaches like Tanjung Benoa and Nusa Dua. Sessions last for fifteen minutes, and kids are provided with life jackets before riding. Riding a glass boat with kids is often a favourite choice of travellers. Both children and parents get a view of coral reefs, turtles, varieties of fishes and other marine life under the sea. 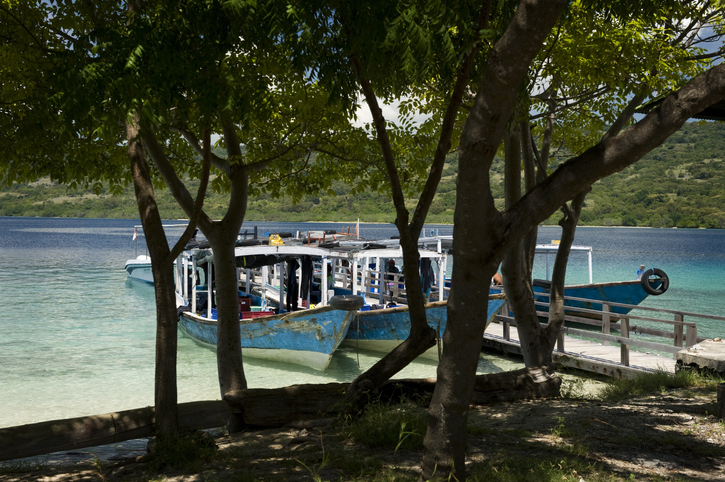 A glass boat ride from Tanjung Benoa beach takes you to the turtle islands where the kids can also see green turtles! Some other water sports you can check out are parasailing, paragliding, rafting and snorkeling. But these usually depend upon your child’s level of daring and bravery. This island in the north of Bali is a good place to visit with kids, but remember that you need a permit to do so! 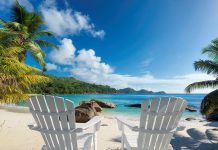 The remote island’s temples, turquoise water, and national parks prove to be the perfect place to visit with your children. Take part in outdoor games at the beach, go snorkelling to see the colourful reef, or visit the West Bali National Park. This large area of forest is known for its wide range of flora and fauna that makes the park attractive to kids, and the rare Rusa deers may even approach and befriend them! 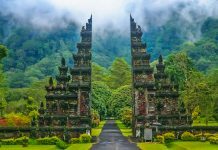 You kids will definitely love strolling amidst the woods to see the colourful flowers and birds as well as exploring the magnificent temples like Pura Gilli Kencana. The exclusive paintings and carvings on their walls will surely capture their creative minds. 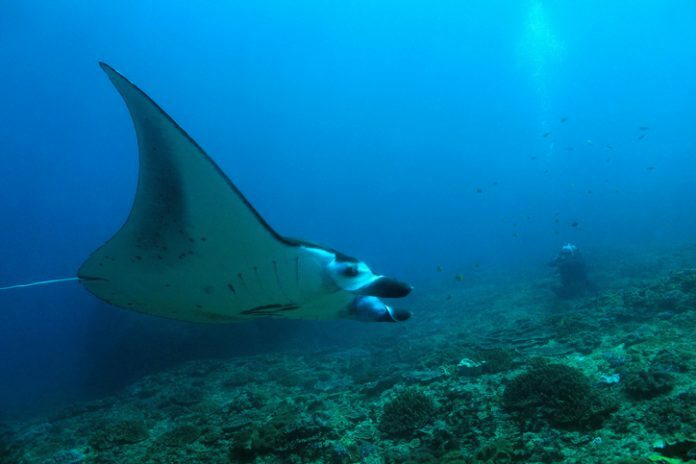 Swimming with the giant Manta Rays in Nusa Penida is the best sort adventure for any traveller while in Bali. The experience also includes snorkeling along bays of Nusa Lembongan and visiting Manta Bay, Crystal Bay, and Mangrove point. But swimming beside a Manta Bay is altogether a different experience. Though one cannot always be sure about spotting a Manta there is a high chance of spotting them near Nusa Penida and Nusa Lembongan. These big slow moving and harmless creatures with wide wings, gently pass beside swimmers. This adventure is quite popular among adults but when with kids, it all depends on their fearlessness and nerve to swim with a large creature beside them, and that too under water! One of the hidden treasures of Bali is its waterfalls. The rainforests and hills of Bali are home to some splendid and wonderful waterfalls, like Gitgit, Sekumpul, Munduk, and Sinsing. The lush green environment of the falls provides a perfect place of relaxation for both you your child, where you can enjoy their serenity with much contentment. You can also swim or take a dip in the fresh waters of the falls. Apart from this, one can also go bird watching and local village hopping with their children. Bali is a wonderful place to go with kids but remember most of the above activities mentioned above are for kids above the age of seven. This is for quite a few reasons, such as the designing of the equipment; risk of injuries; and insurance coverage limits. For these reasons, your kid should at least be of seven years before they can enjoy these activities, but be sure to supervise them at all times.